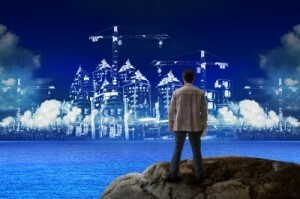 Is your construction business ready to embrace small construction cloud computing? If your company is still collaborating with Excel spreadsheets it is time to consider moving your construction business to cloud computing. Many or most smaller construction organizations are still using pell-mell processes and tools to manage their remote workforce, for example. Most construction companies have remote field managers and sub-contractors with varied duties and assignments. Additionally, there are major scheduling considerations that must be coordinated ongoing across multiple office and work site locations. Plus, there are municipal, state and county regulations that come into play for these businesses. 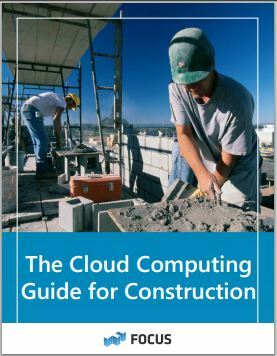 A recent Construction Technology Integration Survey Report of over 400 SMB construction companies, reveals that over thirty percent of the construction companies surveyed make little or no use of real core cloud computing, while the remaining seventy percent are using construction cloud computing on a limited basis. The report underscores that many or most small construction companies are slow to warm to the cloud. Less than seven percent of small construction companies use cloud computing-based accounting applications, for example. Small construction cloud computing delivers several distinct benefits for small construction contractors including: Reduced IT outlay, resources and hardware space and maintenance. There are the inherrent efficiencies of cloud computing. As Microsoft and Focus Research noted in their recent report, The Cloud Computing Guide for Construction, small construction cloud computing allows builders to collaborate with clients and other contractors in real time, making it viable to share data simply. The report opines that small construction cloud computing provides great options for small and medium sized construction companies that don’t possess a large in-house IT team. Small construction cloud computing can automate workflows and integrate optimized project tracking and reporting. Small construction cloud computing offers improved solutions at better price points than traditional on-premise software and IT resources, and enables smaller construction companies to deploy faster with newer technologies heretofore available only to the biggest construction operators. Automation and project management tracking across desktops, laptops, tablets and smartphone devices is a big advantage afforded by small construction cloud computing. Another advantage of construction company cloud computing is the ability to optimally scale the solutions delivered to a workforce and staff that can change size suddenly as construction projects are added or finished. Remember us, Cloud9 Real Time garnered more SMB cloud computing and virtual server awards in 2012-13 than most of its competitors combined. Request a quote, a demo, or a free trial and discover first hand what all the excitement is about!